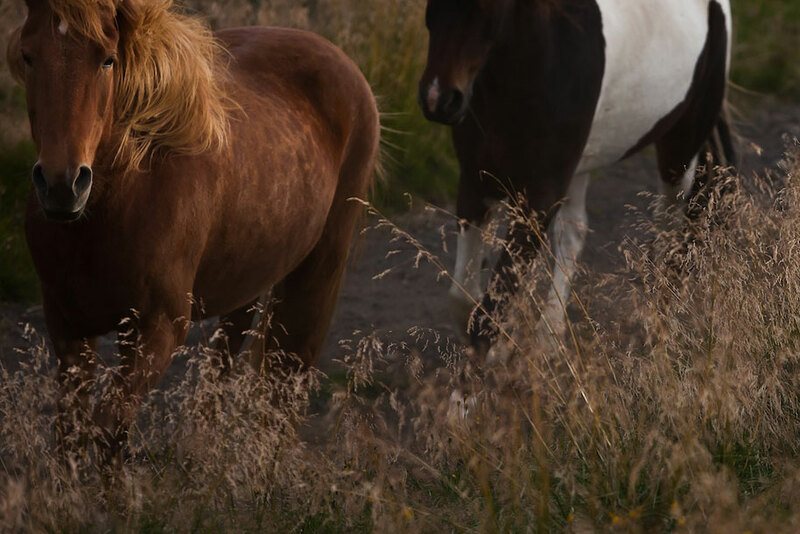 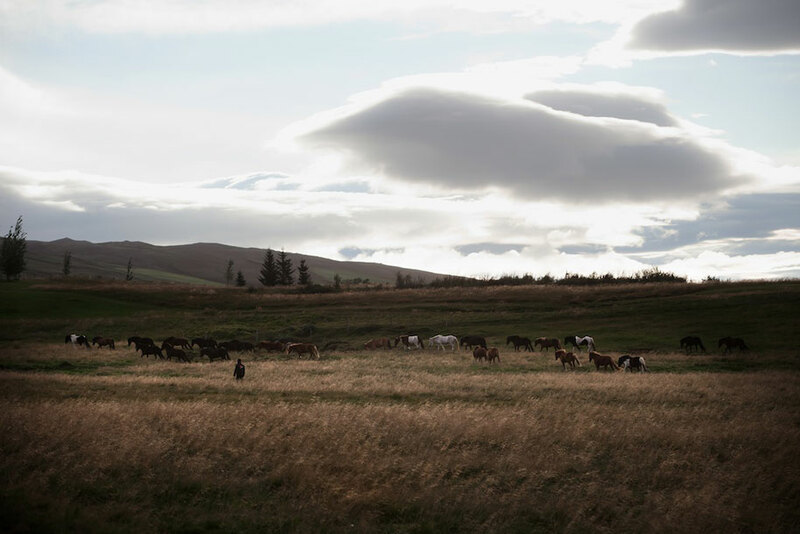 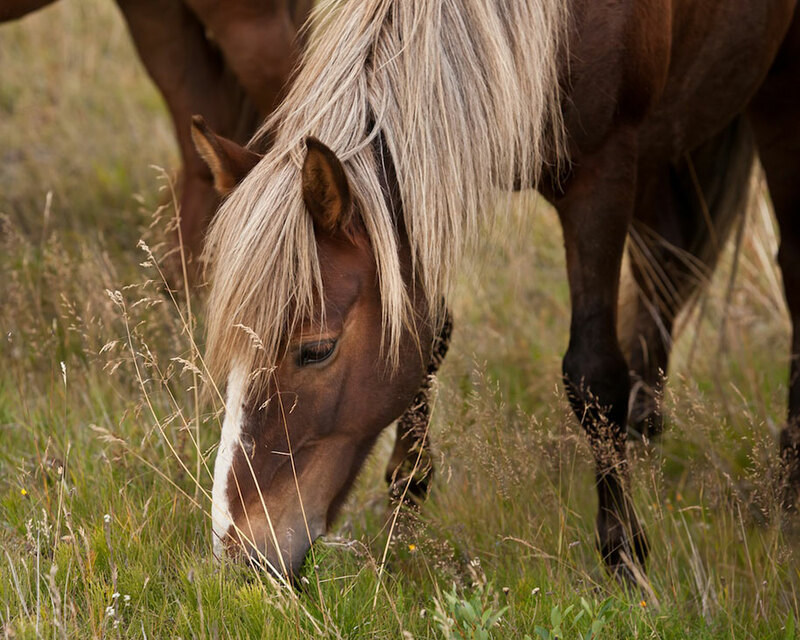 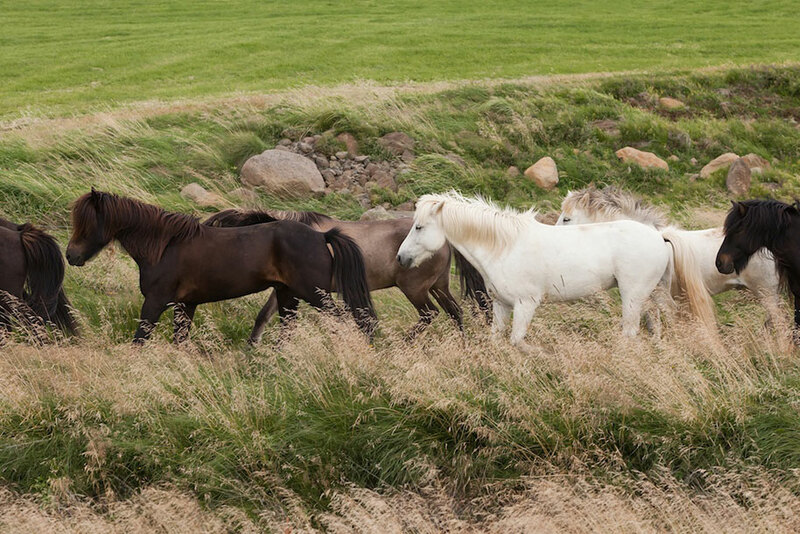 In August '10, I photographed the horses of the Eldhestar tour company while they were being driven from their overnight grazing to a corral to meet their riders. 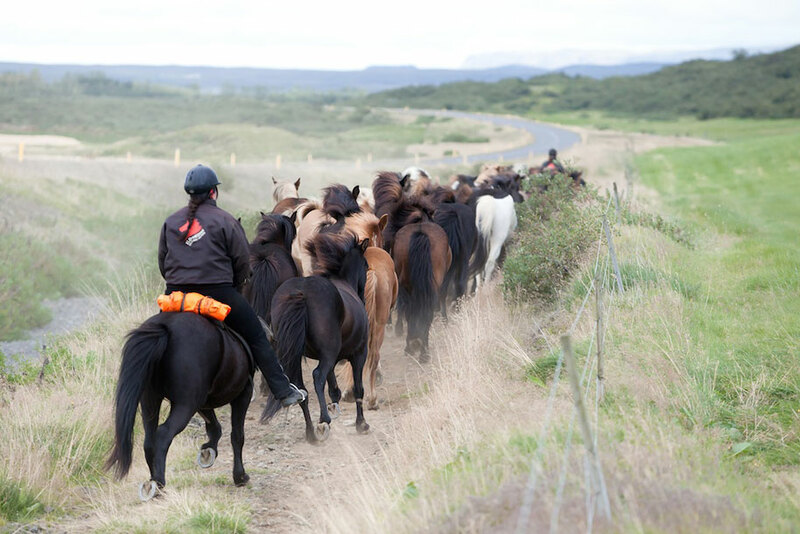 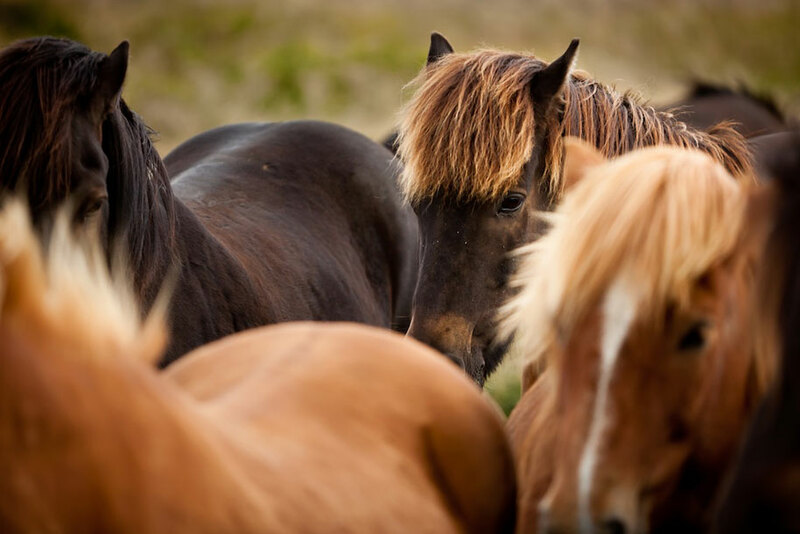 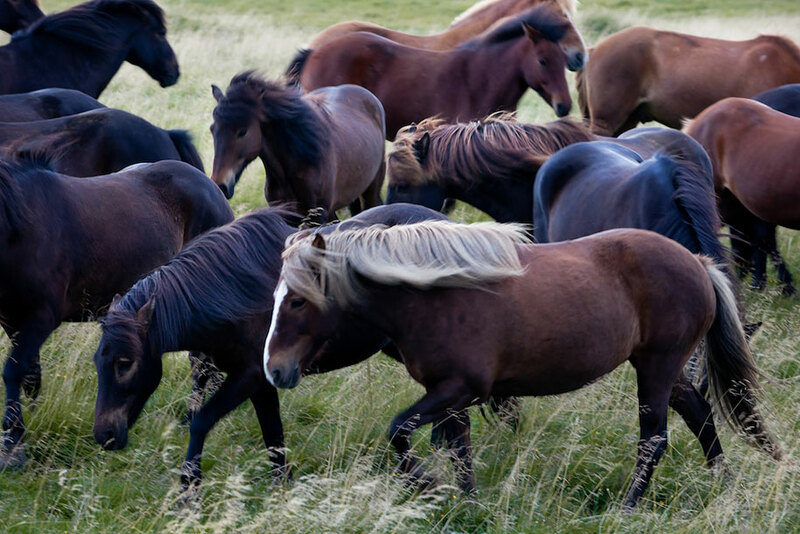 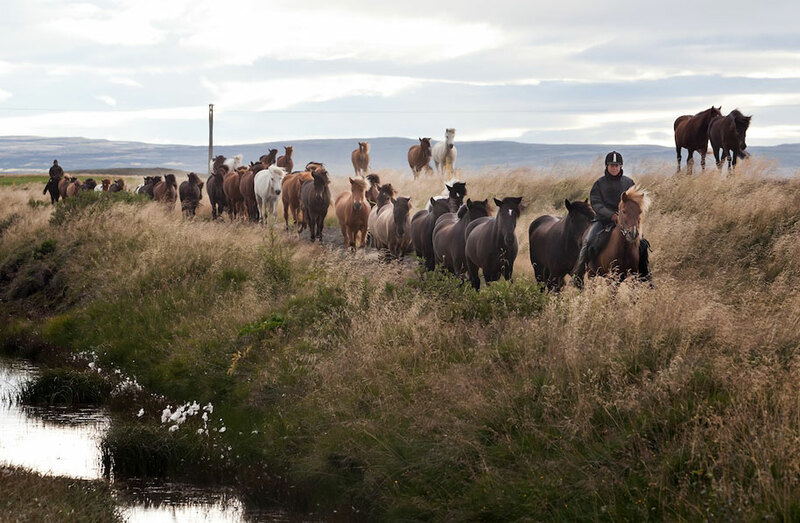 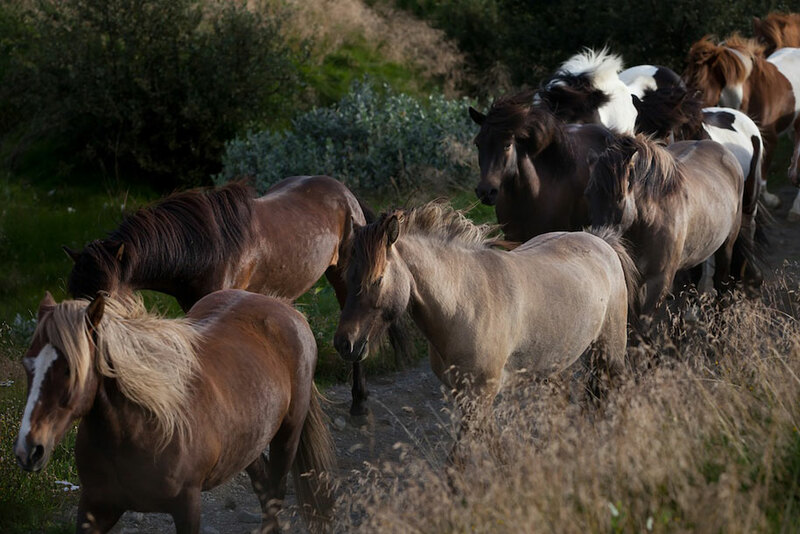 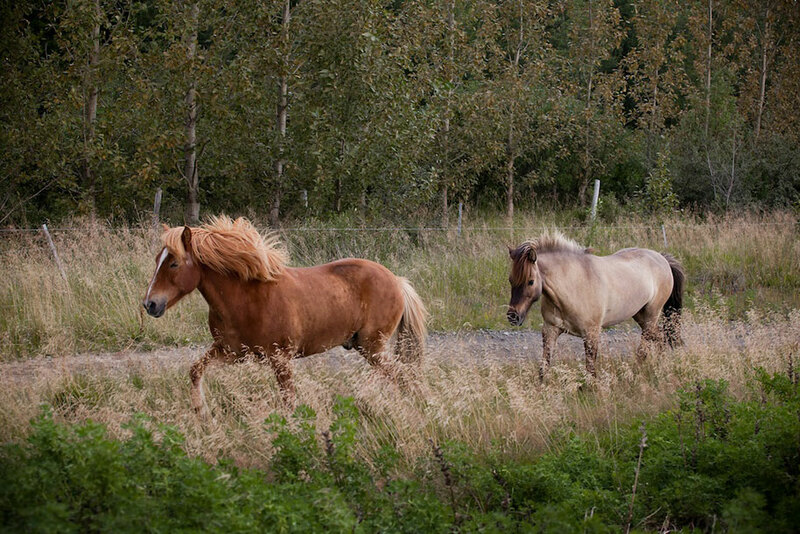 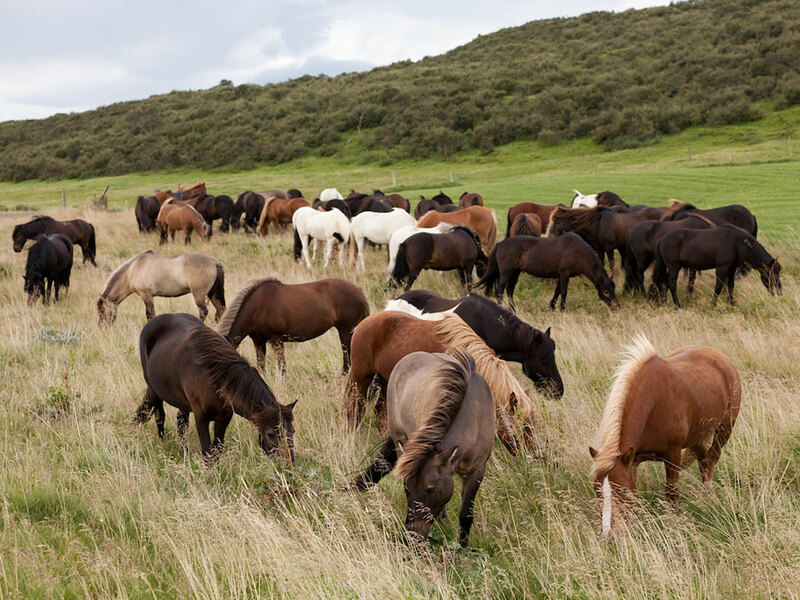 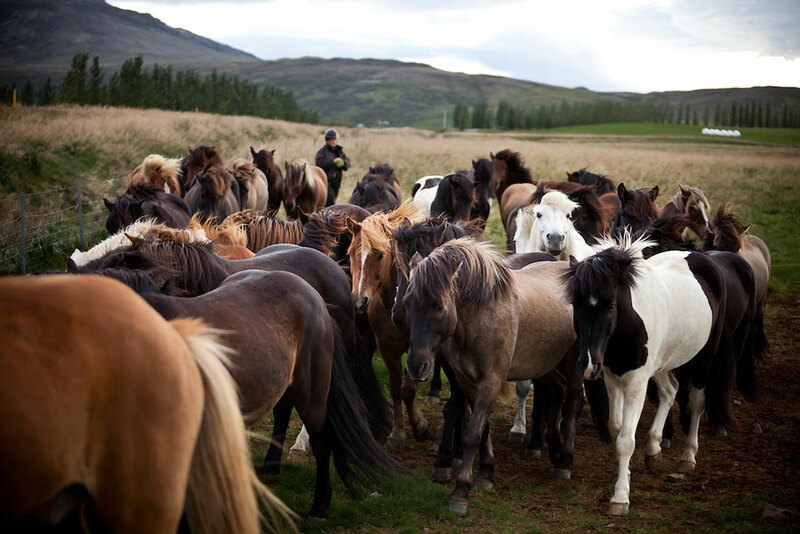 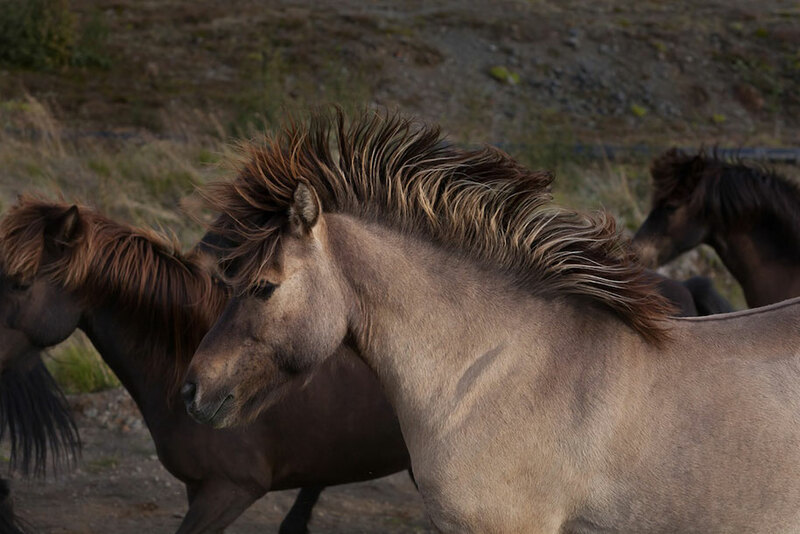 Icelandic horses have astonishingly strong and varied natural colouring, maintained by a 'blood ban' that prevents foreign breeds from being introduced to Iceland. 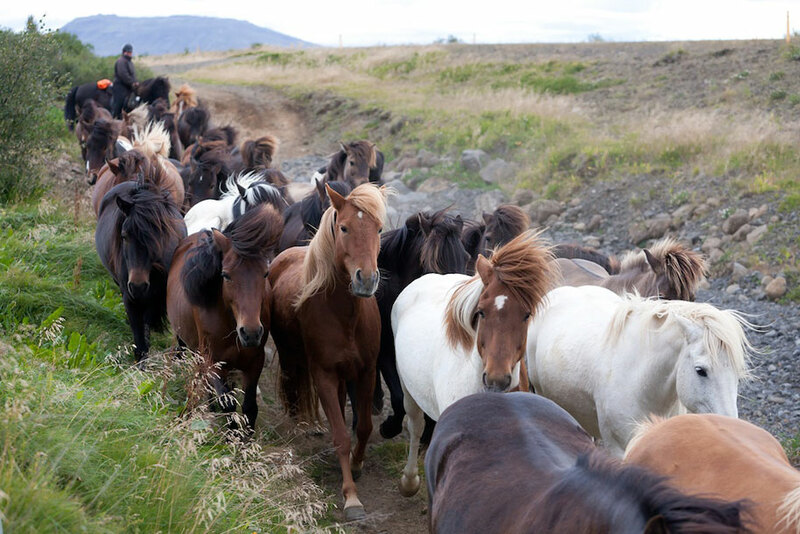 Thanks to Hró∂mar, Anna, Sigrun, Lena and all at Eldhestar.